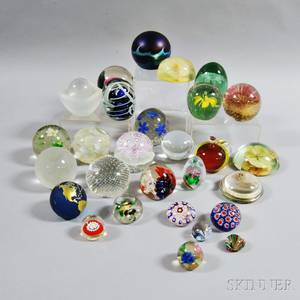 Realized price for Twenty glass paperweights. 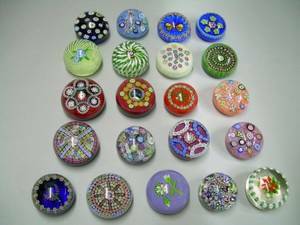 Two Pieced Log Cabin Quilts. 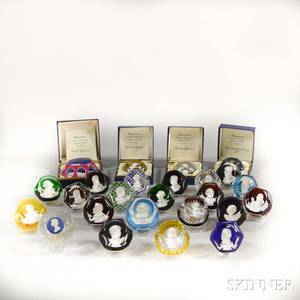 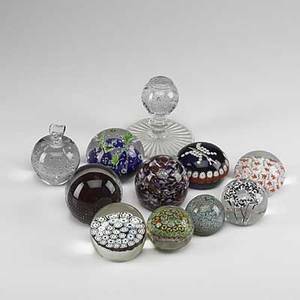 Archived auctions similar to Twenty glass paperweights. 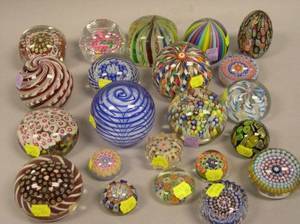 Art glass; twenty-six pieces: twenty-three paperweights (maude and bob, wheaton village, etc. 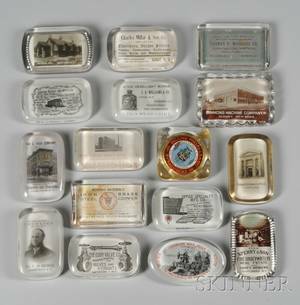 ), large perfume with brass dauber, vase with internal orchid decoration and paperweight vase; tallest: 9"
Twenty-one Early 20th Century New York State Mostly Advertising and Travel Glass Paperweights. 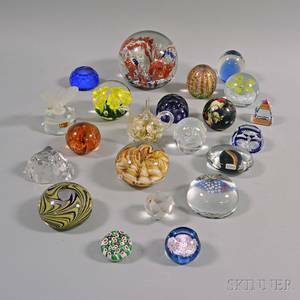 Twenty-one Assorted Art Glass Paperweights. 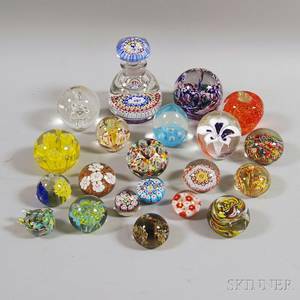 Twenty-one Perthshire Millefiore Art Glass Paperweights.